Editor?s Note: We apologize for last week?s snafu! In the earliest edition of our newsletter last week we failed to have the one sentence introduction to the BigVine article. It read: A look at what was happening in the industry five years ago...October 2000. Reinforcing barter?s continual move toward mainstream commerce is the recent financing effort by the Boston Yacht Haven Marina and Hotel. They are issuing trade certificates, worth $1,000 each, to various companies that will be providing goods and services that can enhance the Yacht Haven?s participation in the Harborwalk master plan. The trade certificates will be honored for all-barter/no-cash transactions. The city is now constructing a boardwalk for pedestrians to stroll the full length of Commercial Wharf, giving sightseers a close-up look at the 105 slips in its marina with its world-class showcase of celebrity yachts, mega-yachts and other vessels visiting Boston. The barter campaign is intended to leverage the efforts of architects, engineers, exhibit designers, art directors, media producers and event organizers who will enhance the Yacht Haven...with an eye towards becoming the favorite destination on the Harborwalk. To learn more about the Boston Yacht Haven Marina and Hotel go to www.BostonYachtHaven.com. 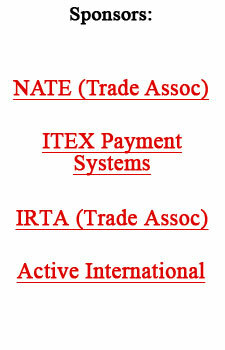 Results for the fiscal year which ended July 31, 2005, for the ITEX organization have been announced. Steven White, Chairman and CEO, pointed out, ?We ended the final month of our fiscal year by completing the acquisition of BXI Exchange. It was the second largest exchange in North America (behind ITEX) and was a significant milestone for our company.? The company has now completed eight consecutive quarters of operational profitability. White noted, ?No other company in the industry has the scope of presence throughout the United States and Canada, or a nationwide franchise model. Our cash revenues are more than triple our nearest competitor.? Completed the acquisition of BXI Exchange, Inc.
Revenue was $10,453,000 vs. $10,283,000 for fiscal 2004. Income from operations was $729,000 or 4-cents a share, compared to $1,031,000 or 5-cents a share for fiscal 2004. Total net income was $3,098,000 or 17-cents a share, compared tO $2,653,000 or 15-cents a share for 2004. Assets increased to $9,125,000, compared to $2,923,000 for fiscal year 2004.
Business members participating in the ITEX marketplace increased to more than 22,000 from 13,400 the prior year. The Puget Sound Business Journal has named a trade exchange - BizXchange - as one of Washington State?s 100 Fastest Growing Private Companies. Actually, BizXchange was listed 16th on the list, quite an accomplishment for the company which was founded in February 2002 by Bob Bagga, President, Chris Haddawy, Sr. VP of Business Development, and Raj Kapoor, VP of Finance. Over a three year period the company increased its revenues 375% and grew to 19 employees. Haddawy says the company?s success revolves around a common theme, ?Every person who works for BizX is united under the same purpose, working towards the same vision and operating with the same mission and core values.? BizXchange, an IRTA Certified Trade Exchange, is located in Seattle and the San Francisco Bay area. The company boasts a number of big name companies as members including Southwest Airlines, Viacom Outdoor, Clear Channel Radio, 24-Hour Fitness, as well as the Seattle Seahawks and Golden State Warriors. Bagga was quick to add, ?We are only successful when we help our members improve and grow their business.? Kapoor, wearing his finance hat, says being honored as one of the fastest growing companies ?validates our business model.? To learn more about BizXchange visit www.bizx.com. Some 100 people attended the American Association of Advertising Agencies? St. Louis Creative Symposium the last week in October. The message to the attendees: advertising either is dead or requires a new definition. The executives said that change is inevitable, given the hundreds of channels on digital cable, the power of TiVo to skip ads, and the rise of the internet. Much of the day focused on how advertising executives, in particular creative directors, ought to think in terms of ideas and needs rather than relying on commercials and advertisements. One example given was an agency that hired marching bands to provide neighborhood wake-up calls and pass out coupons for a gourmet coffee-shop client. International Monetary Systems has announced plans for a national series of eight barter expo?s in November and December. They are expected to boost the trade exchange?s fourth-quarter revenue. Maintaining the highest fiduciary responsibility to the UC membership. Making the system transparent by publishing member balances. Making UC the most internationally accepted trade currency available. David Wallach of SF Outdoor TV. The committee met by phone every week early in the year, and then continued every other week later on. The members regularly discussed the status of credit requests and accounts, and reviewed all member balances and credit lines in the system from July through September of 2005. A new matrix was developed that is determined heavily on the members? rolling 12 month selling history in UC. Said matrix was approved by the committee in August and has been applied to all new and existing members. The World Travel Exchange has become an integral part of international travel for Universal Currency members. The most comprehensive travel site developed especially for travel on trade is becoming increasingly popular. For more information and registration see www.wtex.org. Is Real Estate Boom Creating Rackominium Bubble? It?s always interesting to see how one sector of an industry effects other similar sectors. For example, it?s well-known that Florida real estate has seen abnormal development and skyrocketing price appreciation. Now that boom is fueling another one - a mania over boat storage. It seems that many speculators believe that expanding waterfront condos will erase about 1,800 boat slips in Miami. What do you do if you can?t find a slip for your boat? Don?t worry, Miami companies that rent them out have started selling space in a new wave of luxury ?rackominiums,? or dry storage spaces. They?ve convinced many boaters (and speculators) that there will be an enormous shortage once slips are eliminated with the condo expansions. In Fort Lauderdale, Port Condominium & Marina sold 100 of 125 planned slips for up to $280,000 before its October opening. In last week?s issue we reported that General Electric is the world?s largest (non-government) landlord, with nearly 7,500 properties. To reinforce the incredible size and reach of GE, the company?s in-house law firm with 1,100 lawyers ranks the company among the largest global law firms! The use of coins is dropping in the developed world?s most cash-driven economy...Japan. (Bills and coins in circulation represent 14.5% of GDP compared with 6.1% in the U.S.) Why the drop? Technology--electronic cash stored in smart cards and mobile phones--continues its explosive growth. Commuters can now pay for train fares by swiping their phones or cards against the turnstile. Plus 30,000 restaurants, stores, and vending machines accept e-payments. In all, about 26 million Japanese now use smart cards and phones for small outlays in their daily activities. The total capitalization (aggregate value of all companies listed) of China?s stock market is $388 billion. The United States market is approximately 50 times as large. How gigantic is the energy sector? Consider that just one company, Exxon Mobil, has quarterly revenue topping $100 billion. That?s more than the annual gross domestic product of New Zealand, not to mention greater than the quarterly GDP of all but 25 countries around the world!